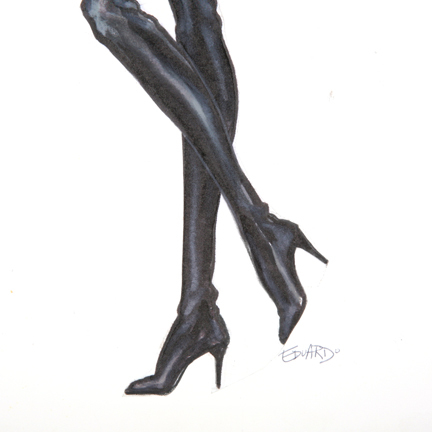 This is an original costume rendering of the character “Barb Wire” portrayed by legendary actress Pamela Anderson Lee that was created for the 1996 motion picture “Barb Wire”. 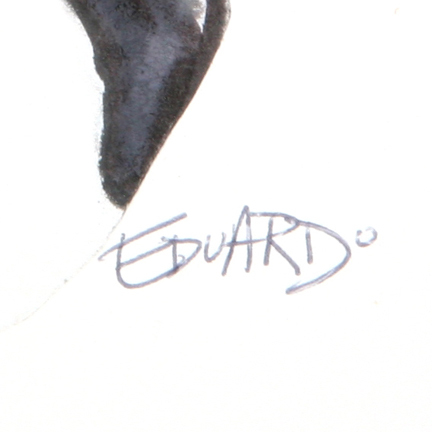 The hand painted image depicts Barb Wire wearing a black leather bustier, leather boots, fish net stockings, and a black choker with metal ring. 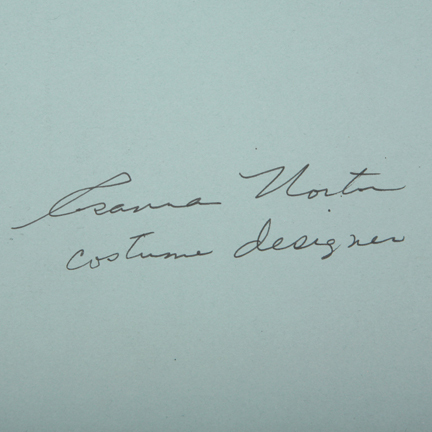 The bottom of the image is signed by the artist Eduardo and on the verso “Rosanna Norton Costume Designer” is signed in pencil. 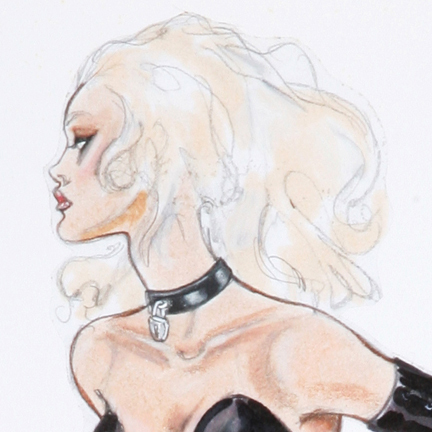 This outfit was Barb Wire’s signature look from the film and was utilized on all promotional images including the poster and DVD.